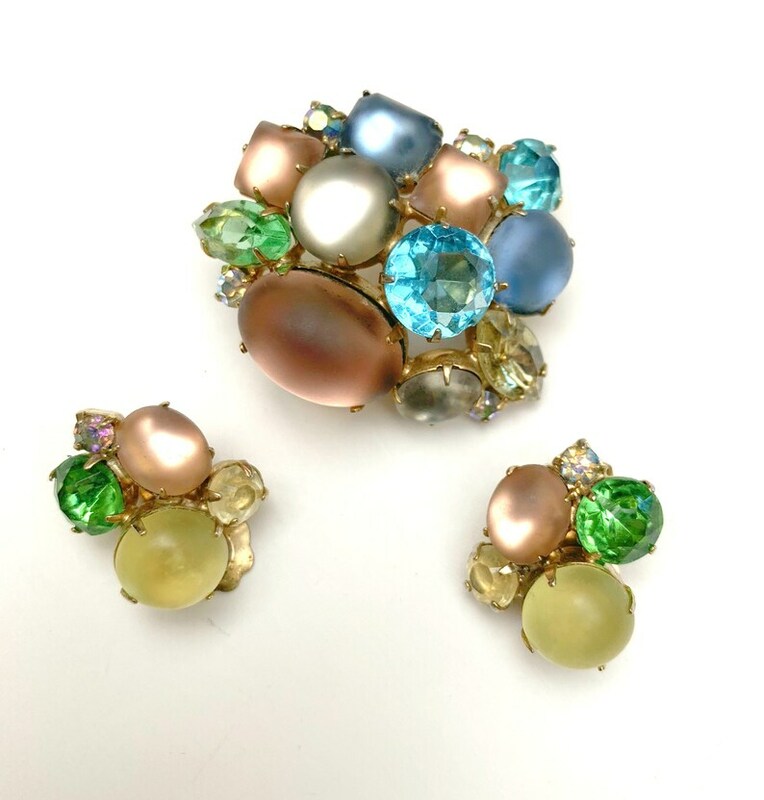 Serendipity Treasures present this colorful moon glow Cabochon stone and rhinestone e Brooch and earring set. . 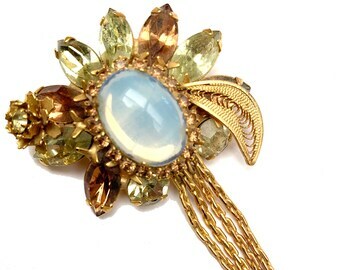 It consist of aa brooch with white pink and blue moon glow art glass cabochons and yellow and blue facet cut rhinestone set in a gold plated setting with an open back setting. 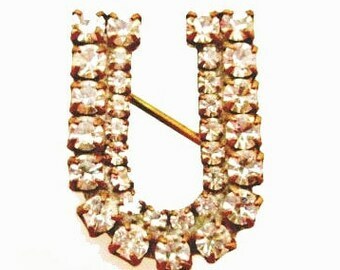 The dimension of this brooch is 1 1/4 inch x 1 1/2 inches. All the stones are in tact and in good condition.one of the white moonstone glass has a dark mark. the matching earrings are clip on earrings. and the dimension is 3/4 inch x 1 inch they are in good condition.